The Overwatch League’s stage playoffs are expanding again, this time adding another team to the mix and removing the first-round bye for the top-seeded team in the league. After the marathon that was stage 1 playoffs, the league moved playoffs to Sundays, allowing an extra day for matches. Starting with stage 3—which kicks off this Wednesday—the Sunday action will expand to the top four teams, with two semifinals and a final title match to determine the stage’s winner. While previous No. 1 seeds were given a bye to the title match, with four teams the top seed gets a different advantage: their choice of first-round opponent. The no. 1 team will have to play the semifinals, but can choose from among the other three teams who it wants to face in the first round. 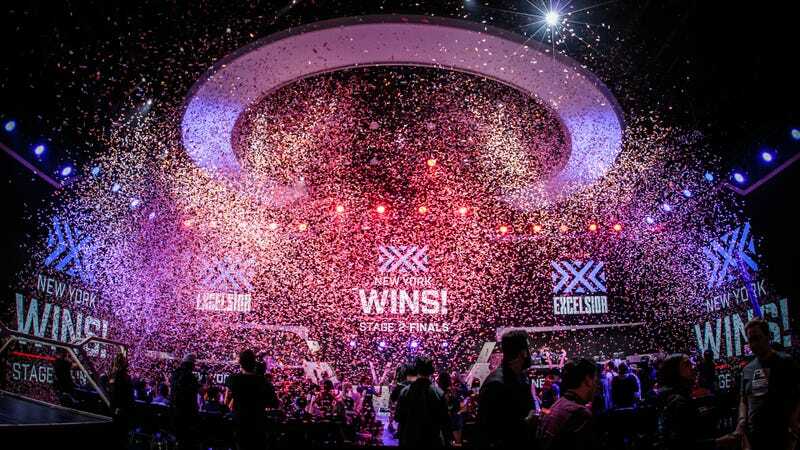 This has been a long-proposed method of spicing up the playoffs in traditional sports; that the OWL is able to implement it right away and in the middle of the season shows an admirable willingness to experiment. The stage titles don’t have any bearing on the overall league title, but they’re not meaningless either: the winning team gets $100,000, and the runner-up $25,000. A spokesperson for the league told us that while the team receives the prize money, at least 50 percent of the winnings has to go to the players.